India is a fairly busy market, and the customer demands for the latest and greatest always. So it becomes important for carmakers to keep refreshing their line ups. Mercedes-Benz knows that well, and to that effect, it has launched a new special edition of the CLA saloon. 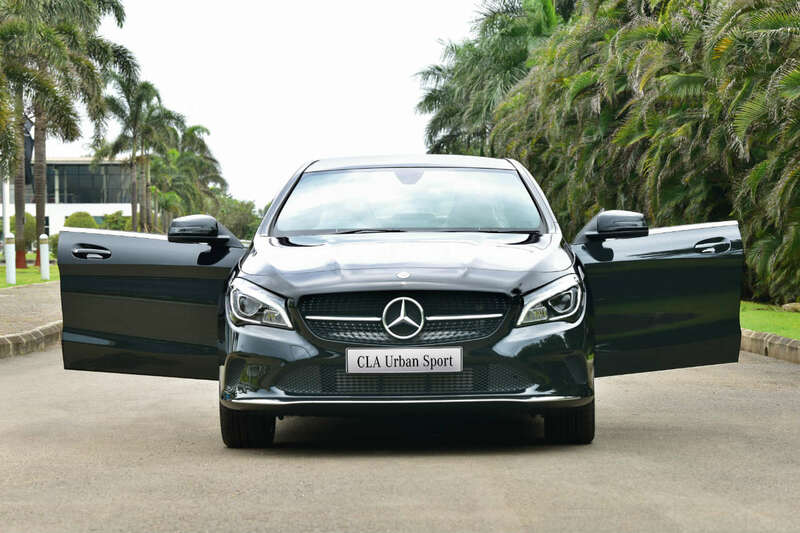 It’s called the Mercedes-Benz CLA Urban Sport and is launched today at Rs 35.99 lakh onwards. The CLA 200 Urban Sport is powered by a 2-litre 181 bhp petrol engine that helps it achieve 0-100 kph in 7.1 seconds and a top speed of 240 kph. The diesel variant, called the CLA 200d Urban Sport is powered by a 2.1-litre 134 bhp diesel engine, and boasts a 9-second 0-100 kph time and a top speed of 220 kph. It’s priced at Rs 36.99 lakh. Unique to the CLA Urban Sport range are things like a two-zone climate control (with AC vents at the rear), carbon-style rear spoiler, ‘Sport’ floor mats, illuminated door sills, ‘Sport’ badge, and even a new Cosmos Black colour choice.